What’s New on the 2019 Chrysler Pacifica? As you can see, occupants of the Chrysler Pacifica will be treated with numerous comfort and luxury features. 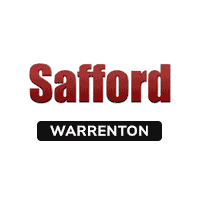 Stop by Safford CDJR of Warrenton today to take advantage of our incredible deals. We have an extensive inventory filled with a wide array of makes and models. In addition to this, we give shoppers the chance to save big with our numerous deals and specials. Our deals are only for a limited time, however. The prices you see on our site today could be gone tomorrow. Don’t miss your chance to save big with us! Come see us today. Our dealership is conveniently located at 7308 Cedar Run Drive, Warrenton, VA 20187 which means residents of Haymarket, Old Tavern, and Gainesville are just a sort drive away. Once you arrive, our friendly and knowledgeable team members will be more than happy to show you around, fill you in on our many deals, and let you take a test drive. Get behind the wheel of a 2019 Chrysler Pacifica today! We look forward to seeing you soon. *Bluetooth® word mark and logos are registered trademarks owned by Bluetooth SIG, Inc. and any use of such marks by Chrysler is under license. A compatible Bluetooth®-enabled phone must first be paired. Phone performance depends on software, coverage and carrier.